Who invented the Car? There are several inventors who played a major part in the invention and development of the car including Leonardo da Vinci, Nicolas-Joseph Cugnot, Richard Trevithick, Nikolaus Otto, Samuel Brown, Robert Anderson and Karl Benz, the man who invented the first true gasoline car. This article details all of the inventions of different types of cars that were powered by different fuels. Who invented the Car? The name of the person credited with inventing the first true gasoline car is Karl Benz (1844 - 1929). Karl Benz is not only famous as the German inventor of the car but also as a designer and mechanical engineer. When was the car invented? Karl Benz invented the car in 1886, during the Second US Industrial Revolution / Victorian period of invention (1850 - 1914). Definition of the Car: The car is defined as a self-propelled automobile suitable as a form of transportation on a street or highway, usually propelled by internal combustion engines that use volatile inflammable liquids, such as gasoline or petrol or electric motors. Fact 1: Who invented the Car? The first true gasoline Car was invented by Karl Benz in 1886 during the Second US Industrial Revolution era of inventions (1850 - 1914) which was a principal addition to advancements made in the area of Transportation. Fact 2: Who invented the Car? Prior to the invention of the Car in 1886, the first true gasoline automobile, other types of automobiles using steam and electric were invented. Fact 3: Who invented the Car? The first self propelled vehicle: Leonardo da Vinci (1452-1519) invented a Spring driven vehicle. It was not quite a car, but it did have seats for passengers. Leonardo da Vinci's mechanical vehicle needed to be wound up before it would move and was the first self propelled vehicle in history. Fact 4: Who invented the Car? The first steam car: The French inventor Nicolas-Joseph Cugnot (1725-1804) invented the first self propelled steam road vehicle. It was a three wheeled, 2.5 mph military tractor that he designed to carry cannon for the French army. Fact 5: Who invented the Car? First Passenger Steam Car: In 1801 the British inventor Richard Trevithick (1771 - 1833) built the steam-powered passenger-carrying vehicle called the "Puffing Devil" which was able to carry up to eight people. He went on to patent the London Steam Carriage in 1803 that could travel at 10mph. Fact 6: Who invented the Car? The Coal gas car: In 1826 the English inventor Samuel Brown adapted one of his patented gas vacuum engines to propel a road vehicle with an engine that was fuelled by coal gas. Fact 7: Who invented the Car? First electric car: In about 1835 the Scottish inventor Robert Anderson invented the first simple electric carriage that was powered by non-rechargeable primary power cells. Nikolaus Otto invented the four-stroke Internal Combustion Engine and the Otto Cycle in 1876. Fact 8: Who invented the Car? First true gasoline car: The inventor of the first true gasoline car, Karl Benz, was born on November 25, 1844 in Muhlburg, Karlsruhe, Germany and died on April 4, 1929. Fact 9: Who invented the Car? The early years of Karl Benz were spent in Muhlburg, Karlsruhe, Germany where he was raised by his family. Karl Benz was well educated and attended the University of Karlsruhe where he gained a degree in Mechanical Engineering. Fact 10: Who invented the Car? In 1871, Karl Benz joined a mechanical workshop in Mannheim where he developed new types of engines and patented key engine components. The patents included a patent for an internal combustion engine that was granted in 1879. Fact 11: Who invented the Car? On October 2, 1872 Karl Benz married Bertha Ringer and the couple had five children. Fact 12: Who invented the Car? Karl Benz went on to invent and patent ignition using sparks with a battery, the spark plug, the gear shift, the clutch and the carburetor. Fact 13: Who invented the Car? In 1883 Karl Benz founded his company, Benz & Cie, and following countless tests and modifications invented his first car called the Motorwagen. The Benz Motorwagen was a three-wheeled automobile with a rear-mounted engine. The Motorwagen was constructed of steel tubing with woodwork panels and wire wheels. Fact 14: Who invented the Car? Karl Benz patented his invention on January 29, 1886 (German patent number 37435). It was the birth of the car, powered by an internal combustion engine. Shortly after, Gottlieb Daimler and his partner Wilhelm Maybach also applied to the patent office for their design. But Karl Benz was the first. Fact 16: Who invented the Car? His wife and business partner, Bertha Benz, embarked on a novel marketing campaign to publicize the Patent-Motorwagen. In August 1888 she demonstrated the feasibility of the 'new fangled' car by taking her fourteen and fifteen year old sons, Eugen and Richard, on a long distance trip of 65 miles from Mannheim to Pforzheim that took just one day. Bertha Benz and her sons became the first motorists in history. The publicity stunt by Bertha Benz brought the Benz Patent-Motorwagen worldwide attention and attracted the company's first sales. Fact 17: Who invented the Car? The Motorwagen Model 3 was displayed at the 1889 Paris Exposition Universelle and interest in the car increased. By 1894 sales of the car had soared and Karl Benz sold 136 Model 3's. It was the first car ever to be mass produced. Benz & Cie. grew from 50 employees in 1889 to 430 employees in 1899. Fact 18: Who invented the Car? In 1896, Karl Benz was granted a patent for his design of the first boxer engine with horizontally opposed pistons. In the same year Karl Benz was forced into retirement by his fellow directors but remained on the board until his death in 1929. Fact 19: Who invented the Car? By 1903 a new car with a vertical twin engine was introduced by Benz which reached a speed of 37mph. In 1909, the bird-beaked Blitzen Benz was capable of speeds of 140mph and marketed as being "faster than any plane, train, or automobile". Fact 20: Who invented the Car? Many other manufacturers produced cars, notably the Ford Model T car, that was introduced in 1908 using the fast processing techniques of the Assembly Line. Fact 21: Who invented the Car? 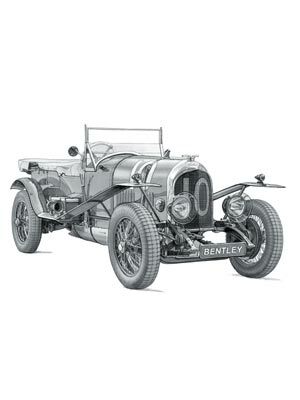 After WWI (1914 - 1918) there was an economic crisis in Germany and in 1926, Benz & Cie. and the Daimler-Motor-Company merged to become the Daimler-Benz company. After the merger all new cars were called Mercedes-Benz. Fact 22: Who invented the Car? Karl Benz died on April 4, 1929 from a bronchial inflammation. He will always be remembered as the 'Father of the Automobile Industry'. Fact 23 - Impact: How did the Car impact the world? The impact of the invention of the Car was a highly influential step to improving the field of Transportation.